On a baking tray with baking paper, lay out the cheese sticks. Freeze for at least for a few hours. 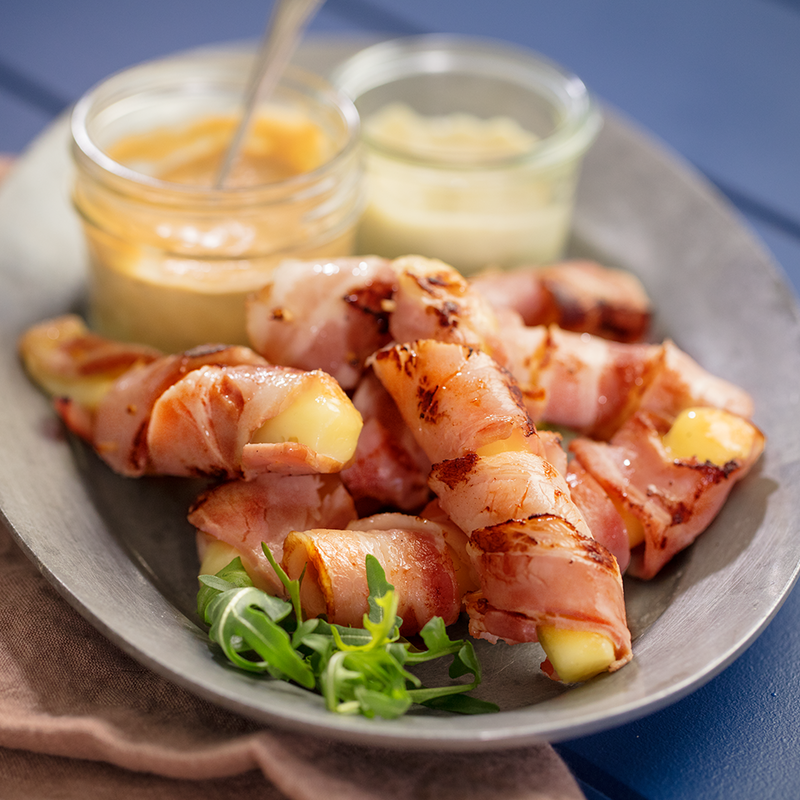 Lay out a slice of bacon and place a frozen cheese stick horizontally in the middle, pulling up the bacon ends to cover each end of the cheese. Wrap another slice of bacon around the cheese stick, using it to secure the first bacon slice. Use a toothpick to secure. Cool on paper towel before serving with dipping sauce of your choice.